I've been working on a rub-off of my mom's old 70s boyfriend jacket. Its a jacket that I wore to death in my high school and early college years and its one of those styles that for me, is a classic. It fills a huge gap in my wardrobe as I have next to no jackets. In fact, I have but one jacket that is really wearable - another future rub-off. Anyway, I've always had this thing for this jacket (in fact this is not the first time I've posted about it). I've kept it after all of these years because for one thing it was my mom's and its something that my dad gave to her when they were dating way back when and for another its authentic. It's construction elements are definitely nothing to write home about and the cut and style are actually rather simple. As someone who is often prone to make fashion choices based on frilly and froofy details, this is significant. Speaking of the actual rub-off, this is only the second item I've rubbed off. It's a rather large project to be doing at such a stage, but I felt that since the jacket was fairly simple and since I've sewn for a long time and I felt like I knew what I was doing, it would be fine. Surprisingly, it has been just fine - a few mishaps along the way but nothing that isn't fixable. The original jacket is too small for me in the..... you guessed it - upper back and shoulder/arm area. So, using the original jacket as a muslin I fixed the problem in my rubbed off version. It's still due for a little tweaking in the sleeve, but otherwise, I'm thrilled with the fit! I opted to draft my own lining pattern as the original lining doesn't address the back vent as I would like to. That's all for today! Lining installation next. What a beautiful jacket. I share your love for classic 70s styles; I'm about half as tall as the leggy models on the old pattern sleeves, but the cuts still suit me. What you said about 'good enough' and getting started on a project really resonated with me. I spend a lot (LOT) of time dreaming and looking at other people's work and running my fabric through my hands, but accepting a decision and making a thing (i.e. selecting one option, that might be imperfect or perfect but still only one) is a big deal. 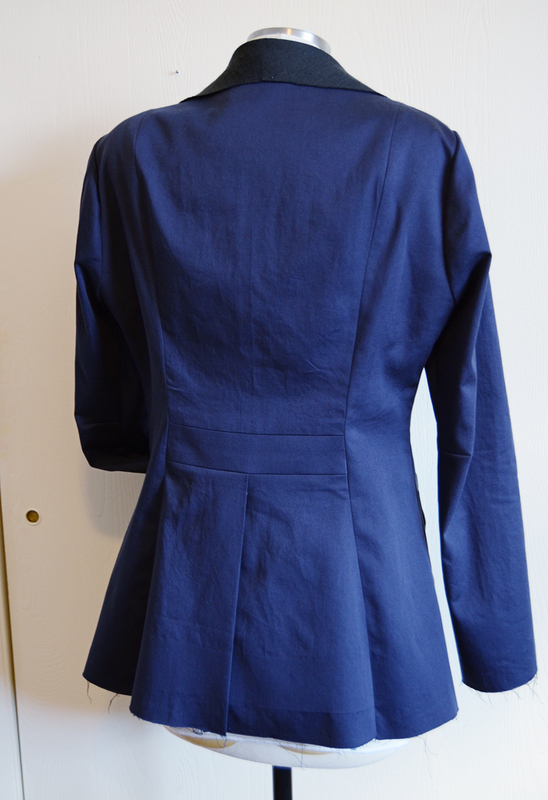 The jacket looks like it'll be wonderful, and a very versatile color. And what a neat thing to have a reminder of! I love the original pocket, too. 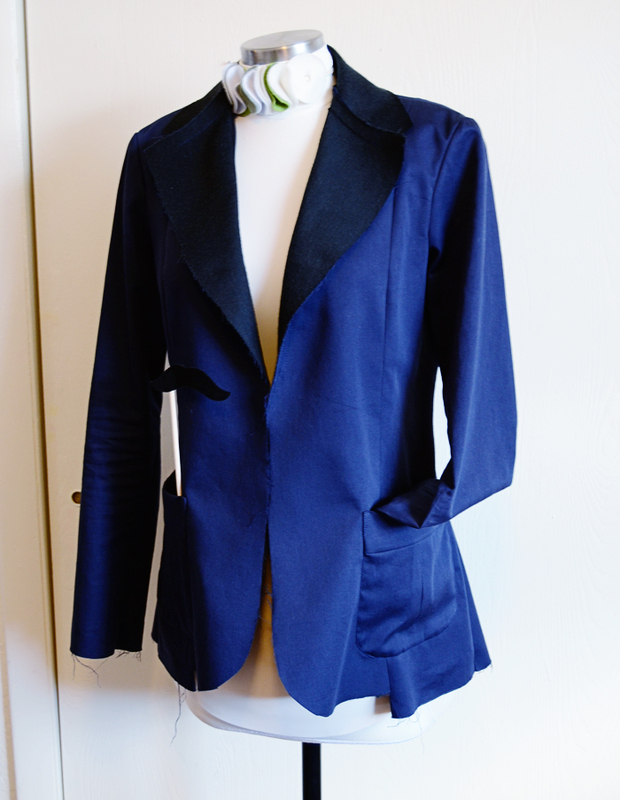 I'll be attempting my first jacket soon and at first felt overwhelmed by the concept of tailoring and all the details but then read about fusible methods and I'm feeling less stressed in general, and somehow even okay knowing I'll be trying my first bound buttonholes. I agree sometimes just simplifying an element or two can make all the difference. very nice jacket! i can see why you saved the original, though it is very brave of you to do a rub-off! fusibles are the best when it comes to quick tailoring. some day i'll try hand tailoring, but even a fuse-tailored jacket is a lot of work. can't wait to see the result! Wow, this is a major project! I absolutely love that it is something with sentimental value, so it will be that much more exciting to wear! The back details are so pretty and flattering, I just love the construction! Oh, this is a project after my own heart! I love this jacket! It is long enough, flattering, not boxy, and has that great back belt/vent detail. I am enthralled with your project. 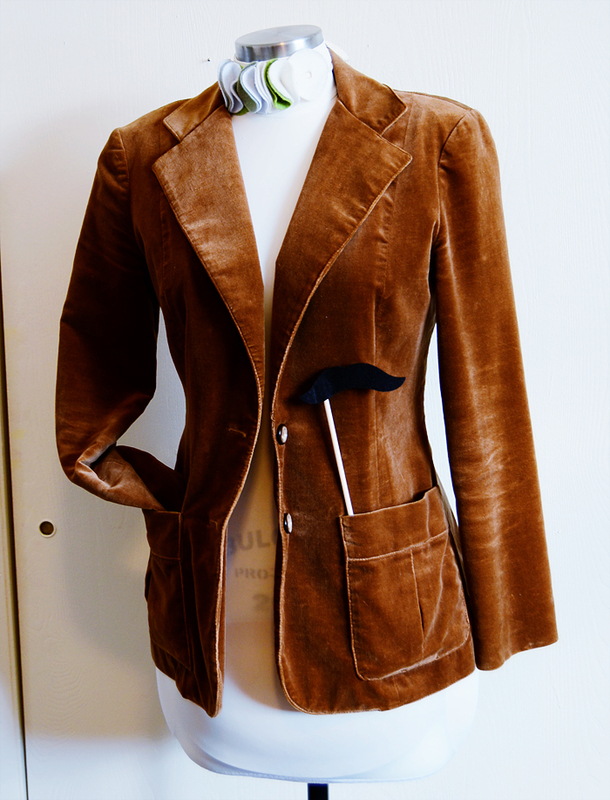 I have not tried to make a jacket, but you may inspire me when I am more confident of my tailoring skills. This is a huge commitment, but it will be worth it. This is absolutely awsome. I love these jackets and think they are the most flattering style ever. You have made a fabulous job and I wish I had your skill. Is this a toile or the actual make? [i.e. the black back collar piece]. Details of the construction in a later post or tutorial would be very helpful - if ever you get the time. Looks beautiful so far! I've been in jacket not-quite-hell for several months now. I just hope I don't hate it by the time it's finished! I can't wait to see the finished jacket. I just used the Rub off book to clone a pair of jeans as well as a blouse whose neckline I really liked. You ladies kill me with your sewing talents! This creation is beautiful! I sit here and drool over what you create. I am just now learning to sew. Who would have thought it at 52? So far I have a love/hate relationship with my machine. I would love to do what you do! Your mum's jacket is lovely and your rub-off is too! Love the details on the back. One day I will hopefully be as clever and be able to copy something so complicated. I've always wanted to try a rub off of a jacket! 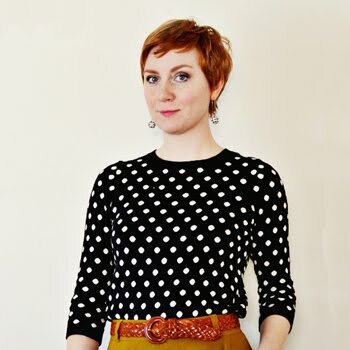 You're post on how you did the cardigan was a great illustration of this technique, but I'm curious how you handled the sleeves for the jacket? Your Mom's jacket is gorgeous! And it looks like yours is coming along quite nicely. I feel like I'm coming around to the "good enough is good enough" mentality with my sewing. Time constraints will really do that to you! I find myself way more happy with fusible interfacing and bagged lining techniques these days rather than handstitching EVERYTHING! Haha! I really like the detail at the back. And the color is lovely, I have a huge crush on blue! I wish one day I will be able to do a rub off. It is really impressive that you are rubbing off a jacket. My mom used to buy clothes from the sears catalogue, do a rub off, and returning the clothes saying she didn't like it. She was really an amazing seamstress. I wish I learned more from her. Unfortunately, she died when I was 14, but I guess she is proud that I am now learning to sew my clothes, following amazing blogs like yours :). I'm thinking of venturing into the land of make-a-pattern-from-a-favorite-garment as well. Your jacket progress looks great! Good luck finishing it up! I LOVE this! It's so classic and simple-- so cool! Sunni, I can see why you wore your mom's jacket to death!! It's super awesome! You amaze me how you are able to "rub -off" your favorite garments. Do you have a tutorial on your blog for this technique or.. is there a tutorial that you can send me to on another blog?